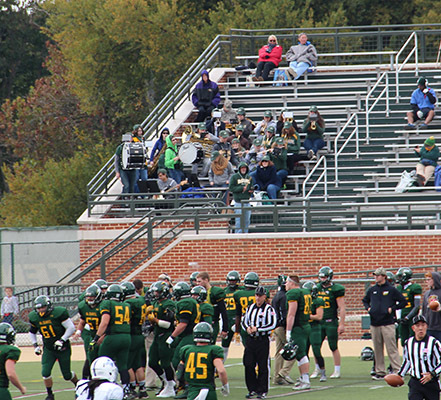 On Saturday, October 17, McDaniel College’s new pep band debuted at the Homecoming game. The pep band is comprised of a group of students who will play in the band during football games. Unlike a marching band, the pep band members will play short songs in the stands. The band includes such instruments as trumpets, baritone, alto saxophones, flutes, piccolos, percussion, and others. During the Homecoming game, the band sat in the stands, where they played McDaniel’s Alma Mater and other songs in between plays. The pep band will continue to play during other football games.